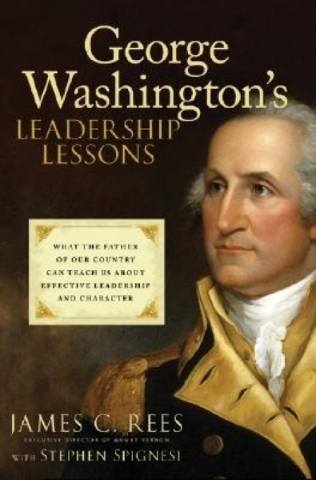 “George Washington’s Leadership Lessons — What the Father of Our Country Can Teach Us About Effective Leadership and Character” by James C. Rees with Stephen Spignesi (John Wiley & Sons, $21.95). The father of our country may have been born to lead. How he learned to lead is a tale of openness to experience, personal challenge and humanity. One may ask what a soldier and politician can teach businessmen today. The answer: Washington was a businessman, too. His estate at Mount Vernon housed the nation’s largest whiskey distillery, a milling operation and a fishery. Trust and honesty — Washington realized that people only believed in and followed people they trusted and respected. Honesty is the foundation of trust. The rules apply to everyone — but especially to the leader. In today’s society, many leaders, rising stars and superstars expect some slack. Giving it to them creates an organizational culture of privilege, not productivity, because opportunity and reward isn’t equal for all. Communication — Choose your words wisely. Washington penned over 20,000 letters. He seldom assumed that anything in writing would remain private. With our proliferation of email, no privacy can be expected. He was meticulous about spelling, grammar and punctuation, too. He believed that written correspondence was a reflection on the capability and character of the writer. Sending out slipshod communications meant you did slipshod work. Proofread your work; pause before sending knee-jerk emails. Ambition — You need it to lead. It allows you to challenge yourself. Ambition demands a diverse perspective on learning and a respect for the knowledge and opinions of others. It requires alliances that can only be built through networking. Washington was an accomplished fencer and dancer because these talents afforded him access to events attended by those in the “right” social circles. He used that access to share his knowledge and learn from others. Today, building internal alliances and active participation in professional associations can propel careers. Blind ambition is another matter. It’s based on climbing over people at all costs. 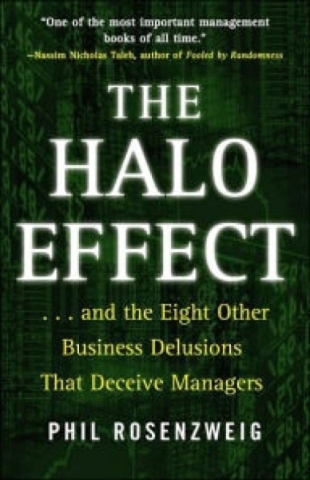 “The Halo Effect… and the Eight Other Delusions That Deceive Managers” by Phil Rosenzweig (Free Press, $17). When it comes to business models, are those of Google or Starbucks so much better than any other companies? Or are these companies just in the right place at the right time? Think Cisco — Wall Street’s darling in the late 1990s. It was the most valuable company in the world with a share price of $80 in April 2000. The business press heralded its management as visionary. In May 2001, with its shares selling at $14, the business press tore into it. What had really changed at Cisco during a year? Management’s vision for the firm hadn’t changed. Its business model hadn’t changed. The business climate changed abruptly as the dot-com bubble was about to burst. Cisco’s halo tilted and the press knocked it further askew. The Halo Effect — Things we claim drive company performance are attributions based on prior performance. The Halo Effect works insidiously inside the company because it rose-colors strategy, decisions and the competitive view. It ignores that forces outside the firm’s control affect the market. The other seven delusions are eye-poppers, too.